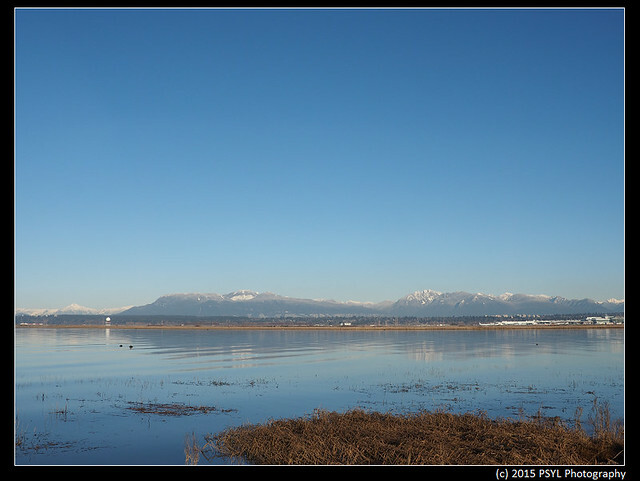 I was hoping to do more nature-related things when I came back home, but various tasks took place and I ended up not bird-watching until this morning when I drove my mother to the library to borrow some books and then went to Terra Nova for a walk. I miss this view. You can't see mountains and ocean (sort of) in the same view back in Ottawa. 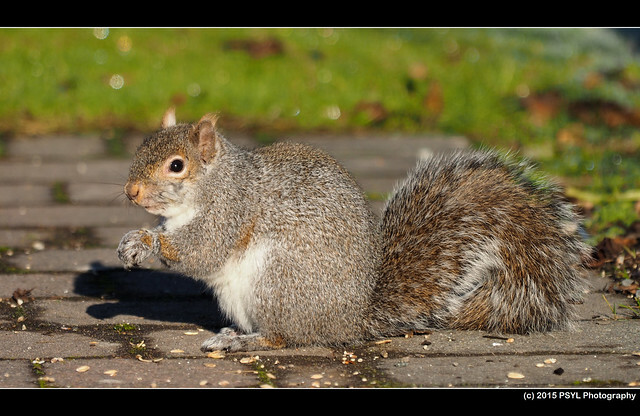 A Grey squirrel (Sciurus carolinensis) eating some of the food that people had been scattering around. 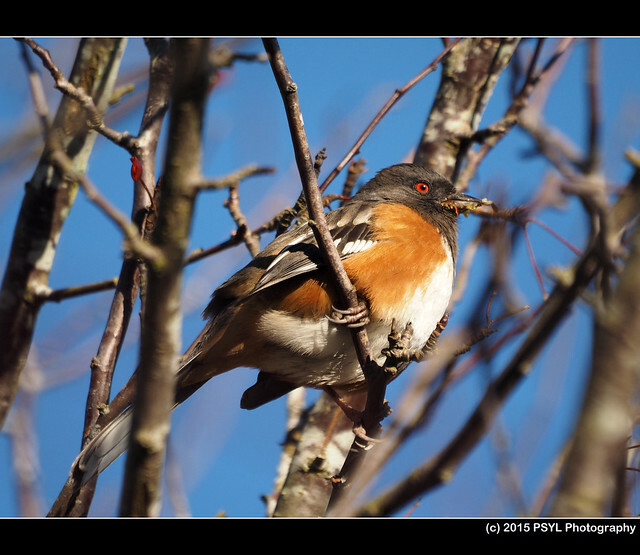 A Spotted Towhee (Pipilo maculatus) with pulp on its beak after munching on some berries. 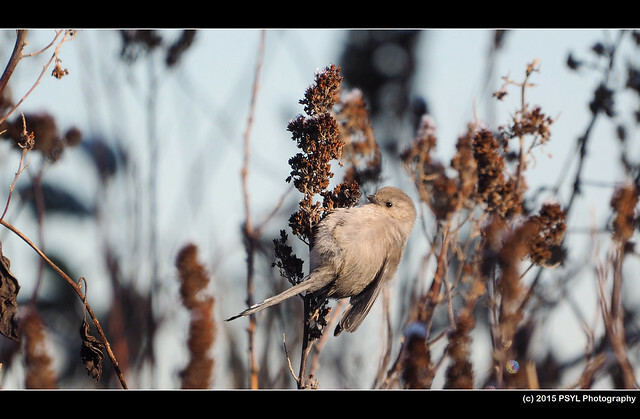 A Bushtit (Psaltriparus minimus) searching for food. 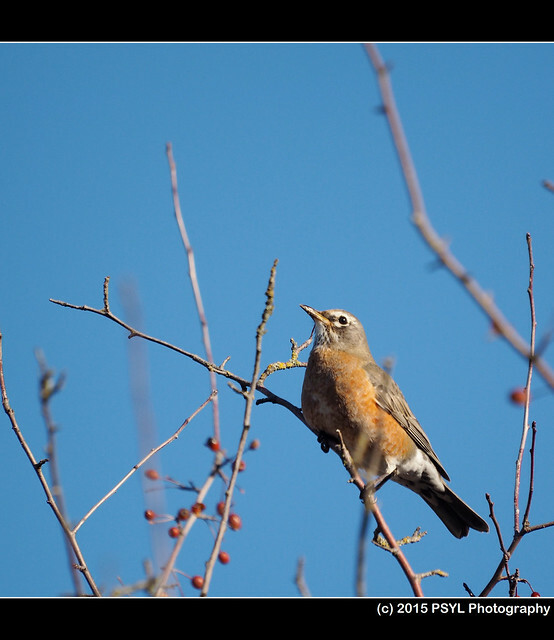 A pale-looking American Robin (Turdus migratorius), perhaps a female? 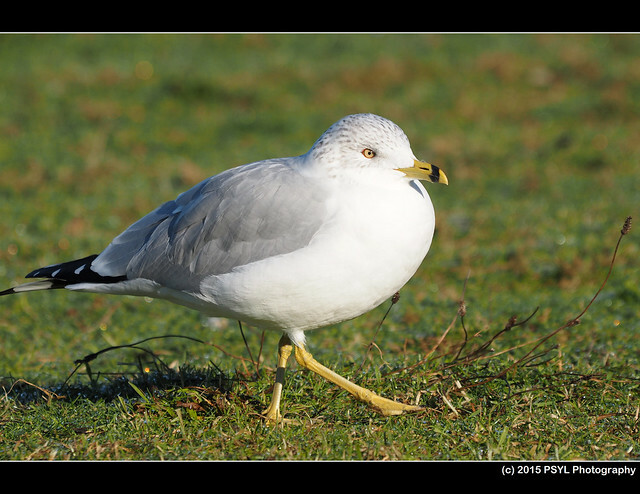 A Ring-billed Gull (Larus delawarensis) walking across the grass. 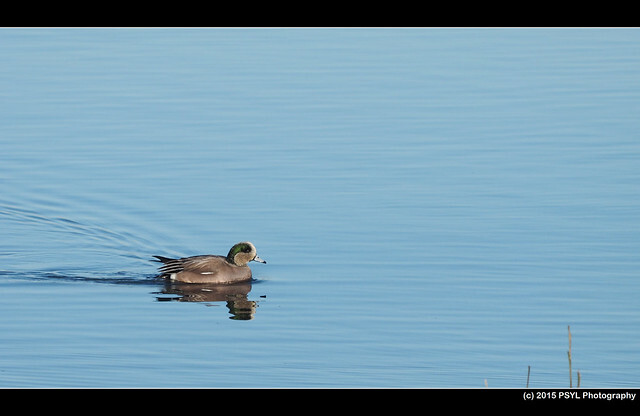 An American Wigeon (Anas americana). That's all for 2015. I think this had been an all-around fantastic year for me, and I hope it carries over to the following years. 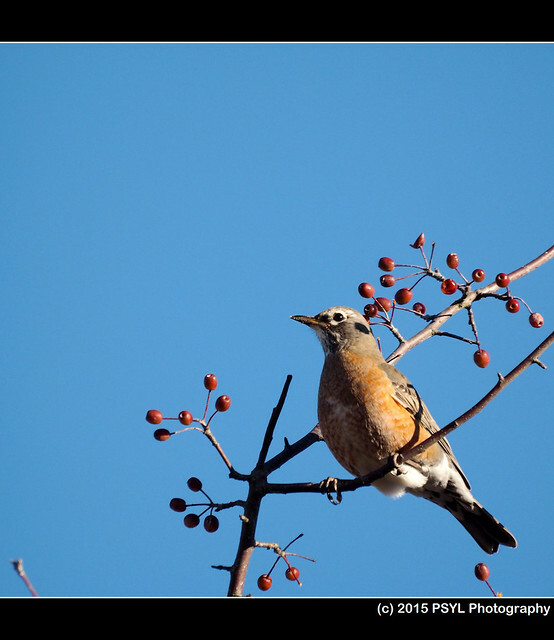 Have a wonderful 2016!